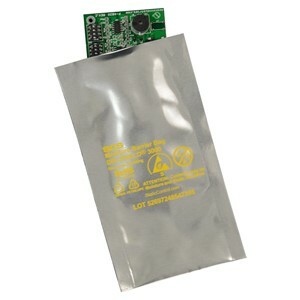 Designed for moisture and electrostatic discharge (ESD) sensitive items (such as SMT). Meets ANSI/ESD S20.20, ANSI/ESD S541, ANSI/ESD S11.4 Level 1, and IPC/JEDEC J-STD-033. Ideal choice for packaging products with sharp corners. Strengthens bag structure to maintain performance per ASTM F392 flex testing and meets the ANSI/ESD S541 requirement as a barrier to current flow. 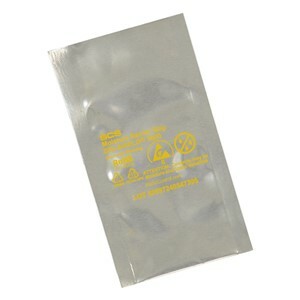 Protects contents from ESD charges and discharges. Meets the requirement for discharge shielding per Static Control Bag ANSI/ESD S11.4 Level 1. Provides physical protection for contents.